In a delicate pearl grey colour this luxurious silk stretch top by Basler makes the perfect base for all your tailored separates. 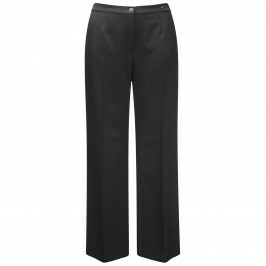 Tuck into a pencil skirt, or team with black trousers and heels for an elegant, polished look. Pearl Grey Silk Top. 96% Silk, 4% Elastane. Delicate Hand Wash or Dry Clean.